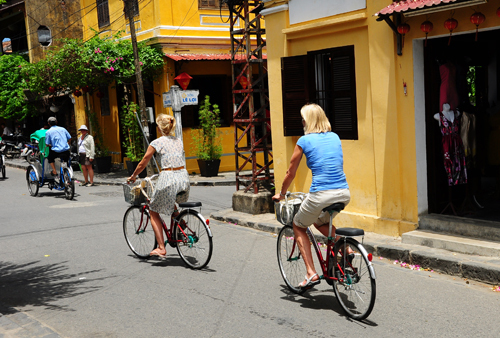 Hoi An – the Ancient City of Vietnam , is the picturesque town set along the coasts of South China Sea. This city delights visitors with the world charm of a preserved mix of Vietnamese, Chinese, French and Japanese culture, streets lined with moss-covered roofs and colorful pagodas, temples. All things create a perfect picture of Hoi An , an architectural setting of foreign traders that has thrived through the passage of time. 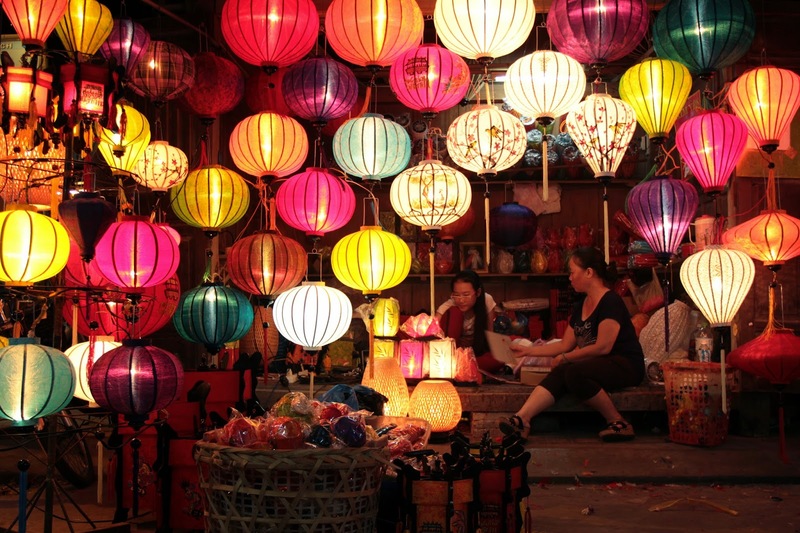 Besides, Hoi An is also famous as a shopping paradise that provides you a lot of beautiful souvenirs like lanterns, craft handiworks, silk materials, art painting or its specialties. 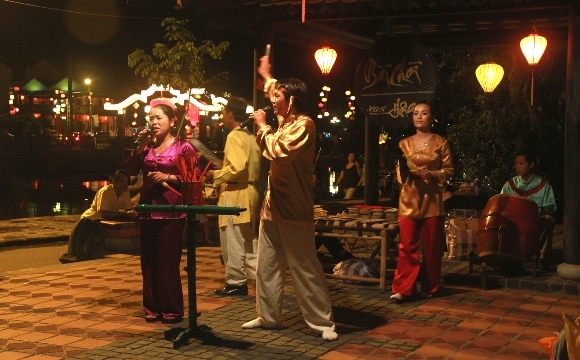 Today, we will provide you some useful information about Hoi An ancient town that you should know for Hoi An tours. Hoi An located on the banks of Thu Bon river, in central Quang Nam province, 30 kilometers South of Danang. It used to be one of the major trading centers in Southeast Asia during the 16th century due to the early western trader occupying period. 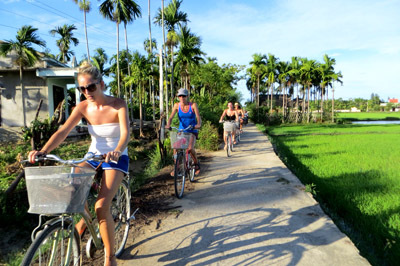 There are some ways to go to Hoi An : by plane, by bus, by train or motorbike. And it is also very easy to get around Hoi An cause the city centre is quite small and pedestrianised, so you will be walking around most of the time. Calm mid weather is now limited to the season of May, June – end of August, when the seas are calm and wind changes direction and comes to the South. The remainder of the year, the weather is intermittent between rain and cold , hot and mild. The high season for domestic tourism is from end of May to end of August. And what to brings to Hoi An? You should bring as little as possible, because anything you can find back at home will be easy to find it here with a very cheaper prices. The clothes and toiletries can be purchased here if needed making your bag lighter and easier to carry and travel. Hoi An’s delicacies are plentiful and particularly tasty and cheap. You should try some famous dishes here such as Cao Lau ( a dish of rice noodles ), Xeo cake, chicken rice, sweet gruel, Quang noodles, Coffee…. I think you should try all of these, or else you will regret soon. And do not miss Cao Lau – the most famous specialties here – the noodles are topped with slices of roast pork, dough frittes, and lots of fresh herbs and veggies. There are some must – go places in Hoi an : Old town, Japanese Covered Bridge, Lantern street, Thu Bon river, Museum of Trade ceramics, Phung Hung house, Chinese meeting halls. Japanese Bridge is Hoi an symbol, was constructed in the early 1600’s by the Japanese community, you should also visit Quan Cong temple, Museum of Culture and many ancient style – oriented architects come here have a direct look into the ancient houses of the town, among which are Phung Hung house, is on west of the Japanese bridge. If you are Buddhist, there are a lot of pagodas to visit such as Ong Pagoda, Quan Am Phat Tu Minh Huong pagoda…. 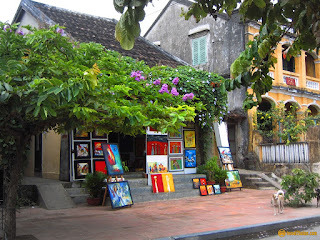 Hoi An now has many shops that attracts tourists like wonderful souvernir shop, clothes shop, lanterns shop…..and so on.